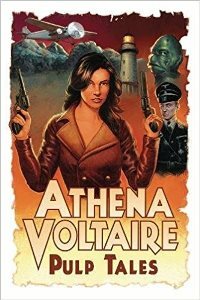 Great spy story with a super cool agent. 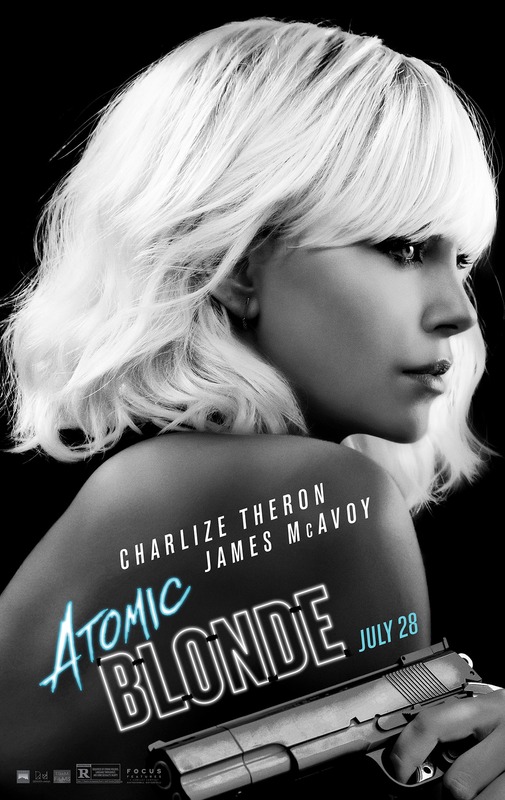 I like that it's set in the Cold War and I love the heavy use of '80s New Wave music. I even like how the song choices fit with what's going on onscreen ('Til Tuesday's "Voices Carry," for instance, when two characters are trying not to be overheard), but I understand how that might be annoying for some. The plot is complicated, with a lot of double- and triple-crossing to keep track of, but while I was often kept guessing, I was never confused. And it all tracked for me in the end. Looking back after all the reveals have been made, I have some questions about why certain characters did what they did, but I'm not calling that a flaw until I've been able to see it again with the knowledge of what everyone's up to. The selling point is the action sequences. There are a few big fights and they're all staged differently and even have different tones from each other. One is a brutal, very prolonged fight in a stairwell, for example, while another in a posh hotel is slow motion and operatic. Continuing to rewatch some of my favorite movies from 2016. 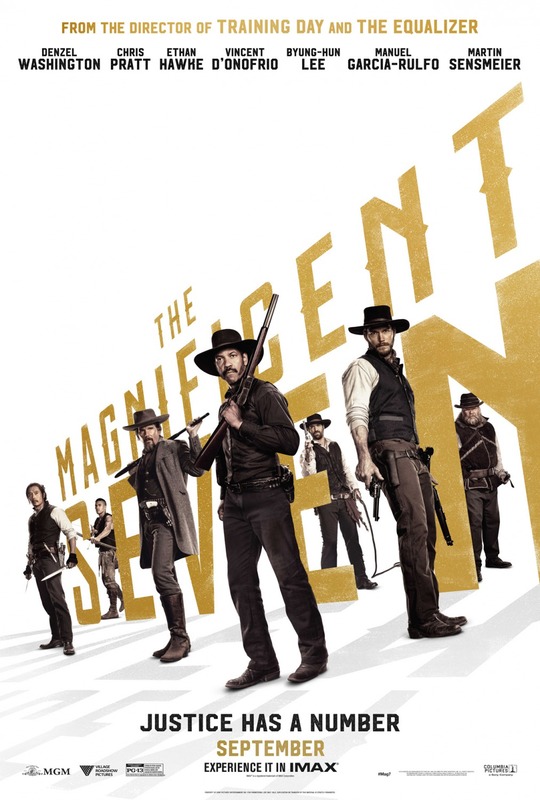 This was my third or fourth time watching The Magnificent Seven and I like it more each time. I already thought it was a fun movie the first time, but some things that bugged me then don't bother me anymore. It's not that there aren't flaws, it's just that the things that I like - certain characters, set pieces, and the way the villain gets his comeuppance, as examples - smother out the nitpicks that I originally had. It's still not as good as the original, but it doesn't have to be. 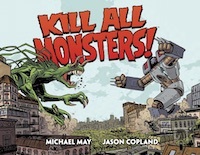 One of these days I'm going to need to comprehensively rank the Marvel movies, but I suspect that this will be in the upper part of the middle tier. I enjoy it a lot, appreciate its inventiveness about what spells look like, and like that it opens up a corner of the MCU that hasn't been explored before. I also like how Strange defeats the villain and what that says about him as a character. It's all cool stuff done in a new way. But even though it's done in a new way, the story that it's telling doesn't feel new enough for me to totally fall in love with the movie. It's essentially Tony Stark's character arc again. 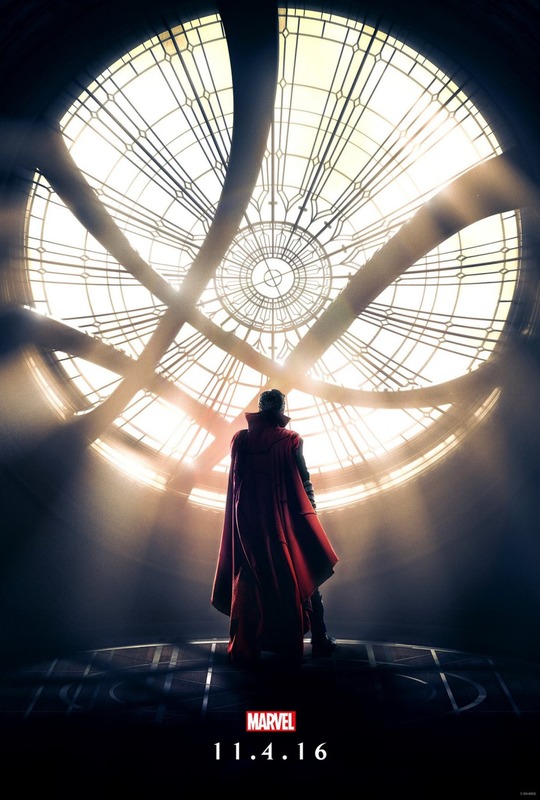 And as much as I love Cumberbatch and love him in this role, that sameness keeps me from putting Doctor Strange with very favorite Marvel films. Not just my favorite movie of last year; it's headed towards being one of my favorite movies of all time. There's more to unpack than I want to put in this post, but the short version is that it doesn't just push the nautical/island adventure and awesome female character buttons for me. There's serious, spiritual depth to this movie and a great discussion to be had about mission and identity and how those things are connected. Need to come back to this at some point. 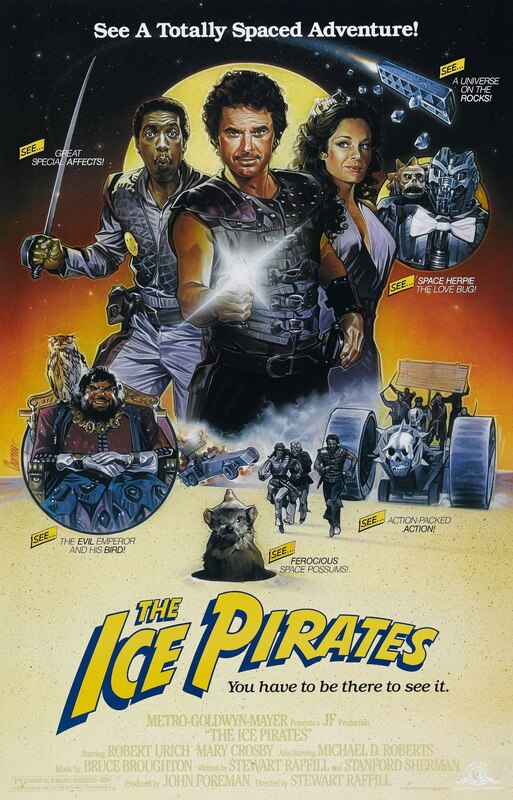 I've wanted to see The Ice Pirates since 1984. I missed it in the theater and somehow never got around to watching it later, but I've always been a big fan of Robert Urich and of course space opera and pirates, so how could I not enjoy it? Maybe I just wasn't in the mood, but as much fun as the cast is (had no idea Angelica Huston and Ron Perlman were in it), it's much sillier than I expected and I didn't actually like any of the characters. Urich is playing the scum bucket that everyone thinks Han Solo is, but without the heart of gold. At least, no heart of gold had been hinted at by the time I gave up and turned this off. So next week, Diane and David and I are taking off for a couple of weeks to go see Britain. It's been a lifelong wish of mine to go see the home of so many of my childhood heroes: Robin Hood, Sherlock Holmes, Ebenezer Scrooge, Tarzan, James Bond, the Loch Ness Monster... it's a long list. 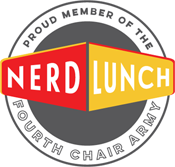 That means that I won't be updating this blog during that time and there might not be any podcasts with me on them either. 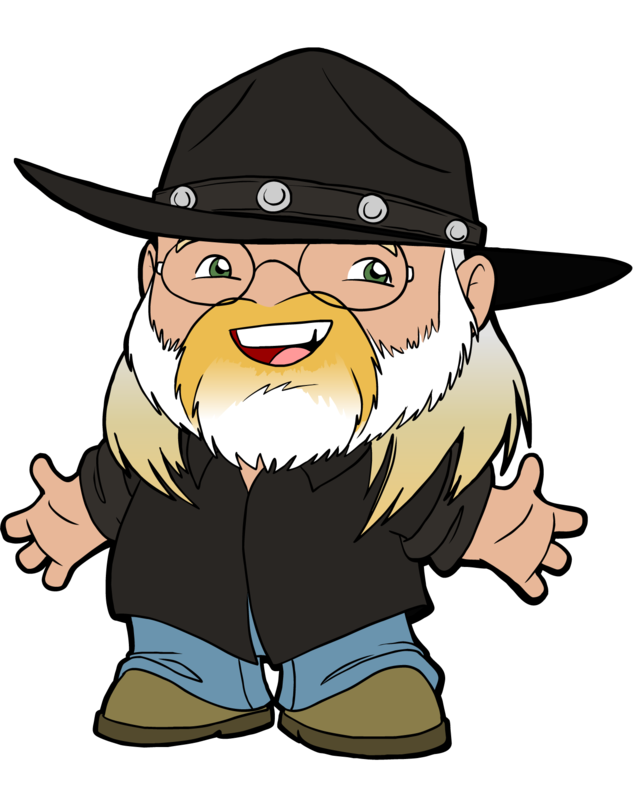 If you're with me on Facebook though, I'll be posting there as much as possible, but otherwise, I'll pick up here when we get back. It also means that we're watching some movies to prep for the trip. 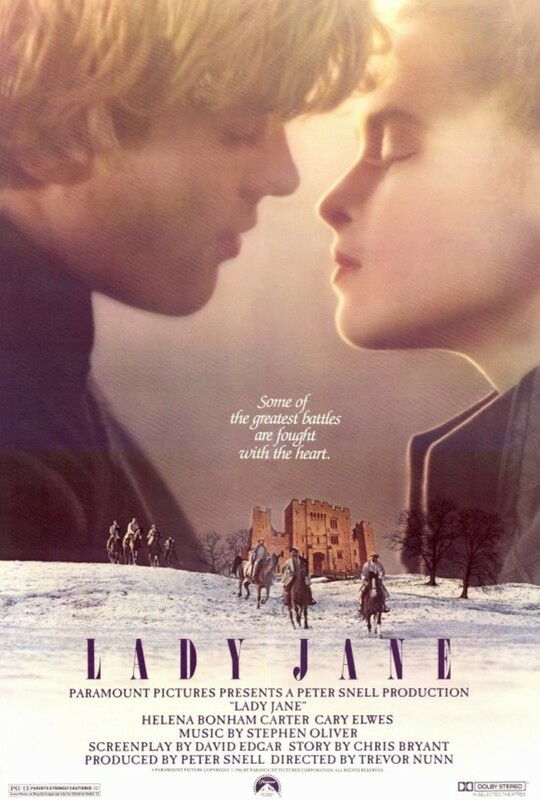 Lady Jane has been a favorite of mine since I fell in love with Helena Bonham Carter in the mid-'80s, but it's a downer and I knew David wouldn't love it, so I haven't shared it with him before. We're going to go see the Tower of London, though, and Lady Jane is largely set there and covers an important event that took place there. I figured it would be a good touchstone to have for our visit. True enough, David wasn't thrilled, though I think he appreciated what he was supposed to about the story. I don't agree with every decision that Jane Grey and her husband make, but I'm not supposed to. They're kids and they make a lot of immature decisions. But I love their passion and I love the questions that the movie raises about how far we're willing to go for things that we believe are important. 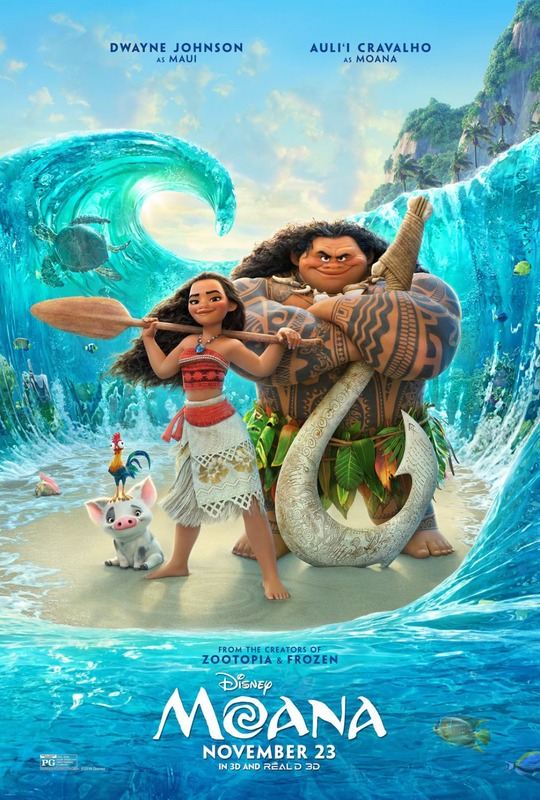 It kind of goes back to the themes of mission and identity from Moana and I love thinking about that stuff. I love me some Robert Mitchum and this has a bunch of other cool people, too. I see Dean Jagger get weepy every year in White Christmas, Kim Hunter went on to play Zira in the Planet of the Apes movies, and Neil Hamilton of course is Commissioner Gordon in the Adam West Batman series. And it's directed by William Castle (House on Haunted Hill, 13 Ghosts). 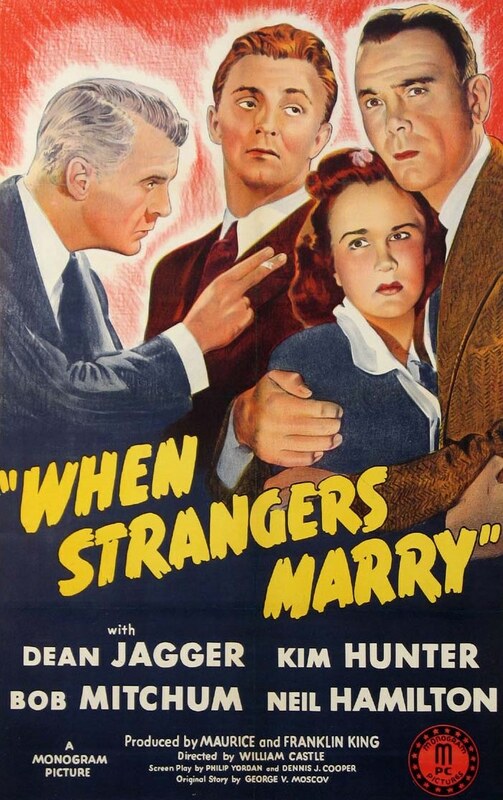 When Strangers Marry is a good thriller in which Hunter marries a guy (Jagger) she's only known a short time. The cops (led by Hamilton) want to bring Jagger in for questioning about a murder in the last town Jagger was in, but he's doing his best to stay off the grid. Hunter starts to wonder what she's gotten herself into and whether she shouldn't have married her childhood sweetheart (Mitchum) who's recently re-entered her life, instead. Like I said, it's a good thriller, but it's not great. I was able to predict the outcome, but the bigger problem is that I never for a second believed that anyone would choose to marry Jagger over Mitchum. Another early Robert Mitchum movie. I liked this one better though. It's a psychological thriller disguised as a murder mystery. From the start, there are really only a couple of options for who the killer might be, so the real mystery is about the potential motives of the primary suspects. Both are recently discharged soldiers, but one's a hateful bigot and the other is a sweet, but stressed out kid who may not be responsible for all of his actions. 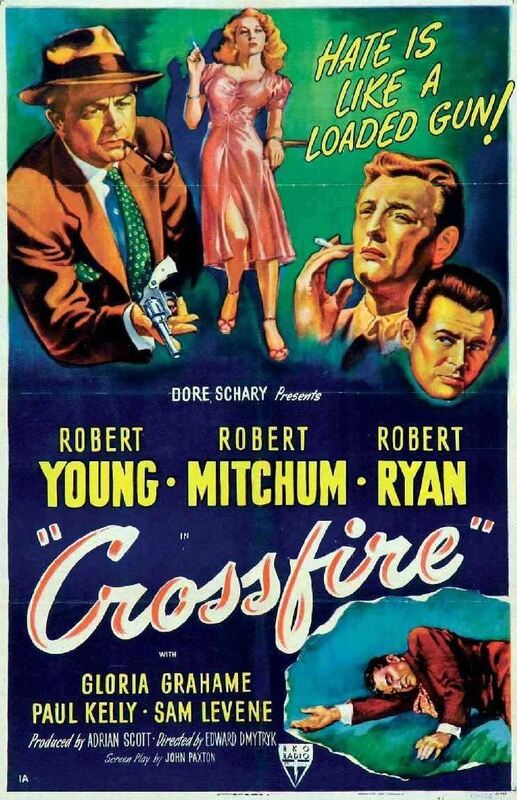 Robert Young is the main cop on the case, with Mitchum playing an officer who knows both suspects and wants to prove the kid's innocence. There's no surprise as to who the killer really is, but that's okay. As the poster's tagline suggests, the movie's more concerned about hate and bigotry. It's heavy handed about delivering that message, but it's also great at humanizing the murder victim and driving home the tragedy of the crime. And sometimes - especially recently - heavy handedness in preaching against hate is exactly what we need. 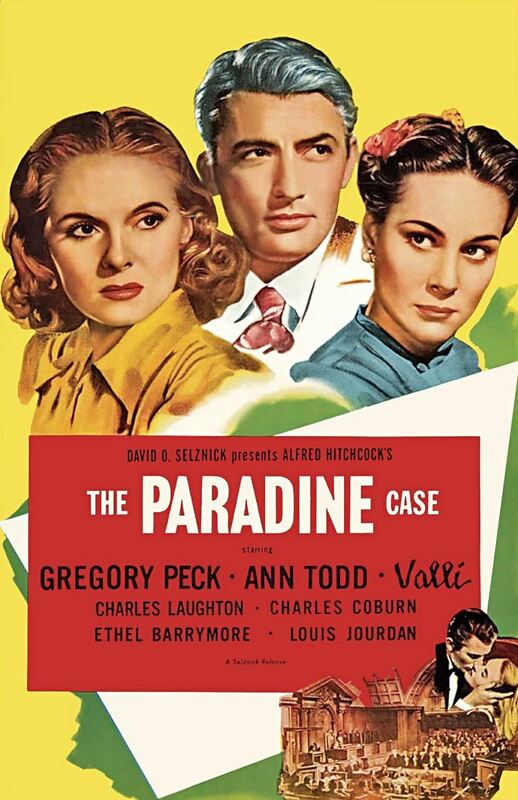 I'm a big fan of Gregory Peck and Alfred Hitchcock, but I couldn't finish The Paradine Case. Peck plays a married lawyer who falls in love with the woman (Alida Valli) he's defending for murder. The movie hinges on selling the Peck-Valli romance, but that's exactly where it falls apart. Valli is supposed to glamorously mysterious, but she's dull as a mop and there's no reason for Peck to be tempted by her. Especially when his wife (Ann Todd) is utterly charming and far more interesting as a person. The script and performances do no work to transition Peck from happily married to grumpily considering adultery, so when he suddenly and inexplicably started exhibiting feelings for Valli, I was out. The third in John Ford's "Cavalry Trilogy." I accidentally skipped the second, She Wore a Yellow Ribbon, because I forgot that Rio Grande was part of it. There are way too many Westerns named after rivers, ya'll. 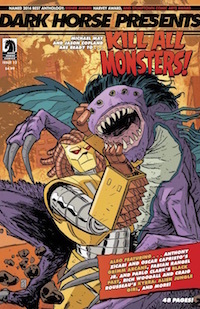 This is a bona fide sequel to Fort Apache. It doesn't reference any of those events - and I'm not even 100% sure that the timeline works out - but John Wayne is playing the same character in both movies. I like how different the two films are, though. Fort Apache is about authority and the military structure and what happens when good people are given bad orders. Rio Grande is a more personal movie. Some of Fort Apache's themes show up here, too, because Wayne's character once had to carry out a difficult order that directly affected his relationship with his wife (Maureen O'Hara). 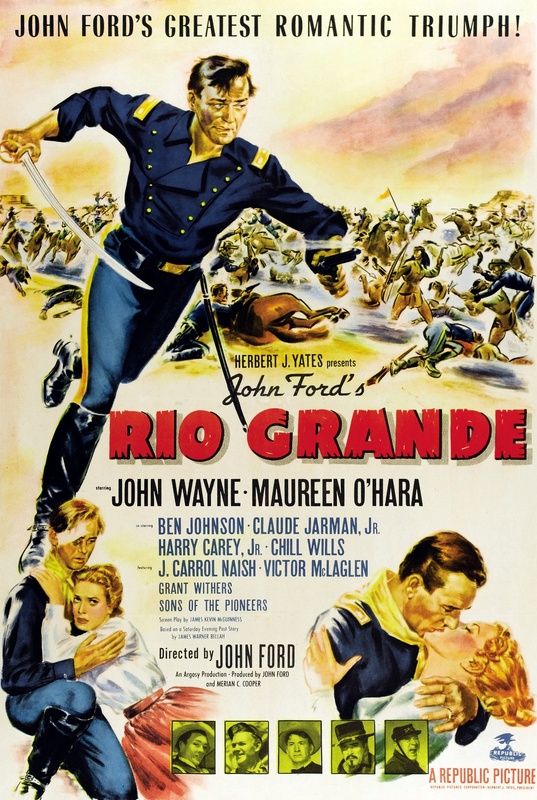 But Rio Grande is mostly about that relationship, with both characters trying to decide if they want to repair it. Complicating the situation is that their son has enlisted in the army and been assigned to Wayne's command. O'Hara of course wants the boy out, but Wayne's feelings on it aren't so simple. It's a lovely story of guilt and repentance and the possibility of forgiveness, which doesn't just play out in the family of main characters. There's also a soldier who's wanted for manslaughter, so when the US Marshal shows up to bring him in, the film adds justice to the mix of themes. What role, if any, should the government play in forgiving crimes? Pretty great stuff. I'm not typically into movies that follow props around. Most of the time they're thinly disguised anthologies and I'm just not crazy about anthologies. 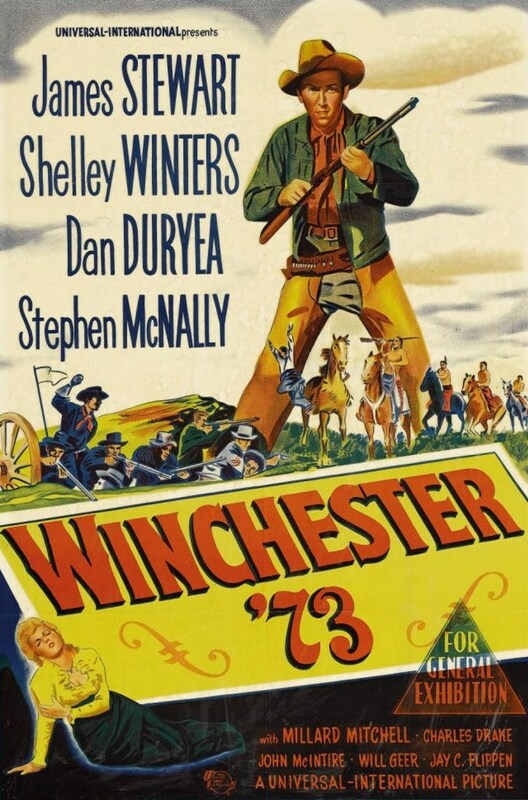 But that's not Winchester '73. The characters who come into contact with the rifle are already connected in other ways and none of them leave the story completely unless they die. It's really about Jimmy Stewart's trying to get the rifle, but more importantly - and for reasons unrelated to the rifle itself - get his hands on the guy who stole it. The other characters are clever diversions who weave in and out of that main plot, but all of them are worth the time the movie spends on them. No one reads this far down, do they? I really like Johnston's other stuff, so I'll definitely check that out. Thanks! A trip to Britain?! I'm a little bit jealous. Have fun you two! I hope you post about your trip when you get back. Funny enough I tried watching the Paradine Case recently too. I turned it off because I didn't think I was in the right mood for as "talky" as it was, so I'm relieved to see that it's not just me and my millienial attention span. Doctor Strange is an odd one to rank. 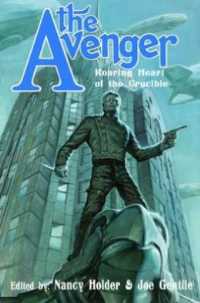 It has a number of familiar elements to the origin story which feels like a blend of Batman Begins and Iron Man but it sticks the landing with a clever ending that doesn't involve punching or skybeams. What really impressed me was how much better a film this was than The Green Lantern movie we got in 2011. Both have a snarky hothead at the top of their game kicked out of their occupation only the land in a team of people with magic rings and light based powers, the main villain is a CG head in space and at the end the mentor friend goes on the became the villain for the next movie. Make of it what you will. That's funny how many connections there are between Strange and Green Lantern. You're really good at spotting those. Just goes to show that a) nothing is completely original (especially true of superheroes) and b) it's all in how you pull it off. I didn't realize it but I do say that X is like Y with movies quite a bit. Thanks for that observation. Watch enough to entertainment and it's easy to spot some repetition though it certainly stands out when there's such a gap in quality between two pieces. One of the things that I love about Mystery Movie Night is that we all have different approaches to discussing film. Spotting connections certainly isn't the only thing you bring, but it's a fun thing. You always mention things that I missed and it makes me smile. Aw Thanks Michael! You're such a sweetheart!